Beatiful black and white photo of the famous 'Pine Tar' game. Photo is autographed by Kansas City Royals George Brett. Comes custom framed and ready to hang. Also includes a certificate of authenticity. 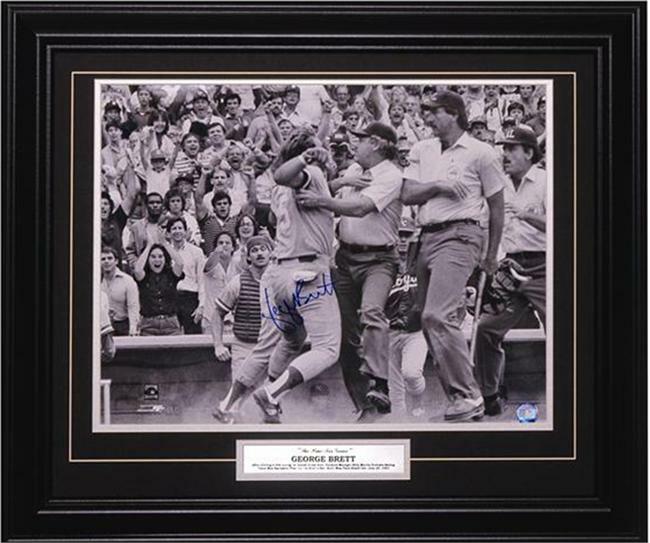 Own a great piece of baseball history!